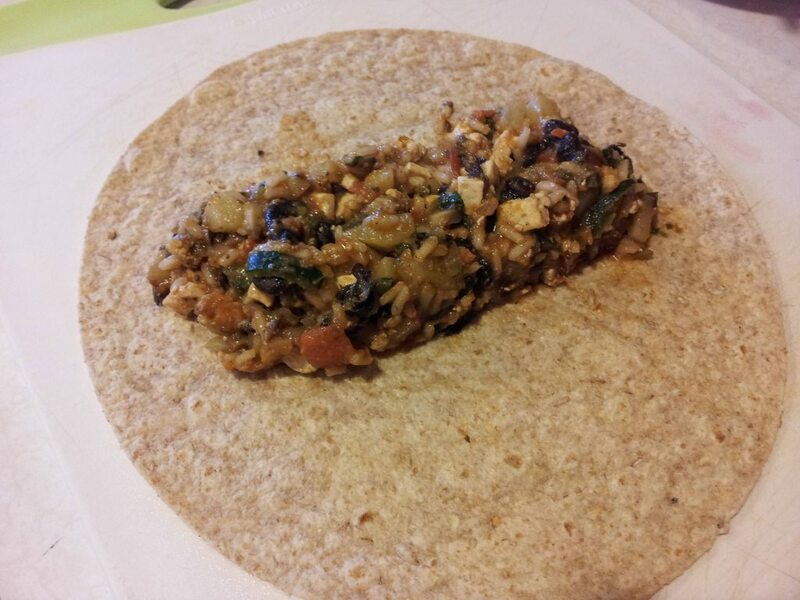 * Note : The key to making a flavorful and decently sized burrito is to make sure that you dice all of the ingredients. 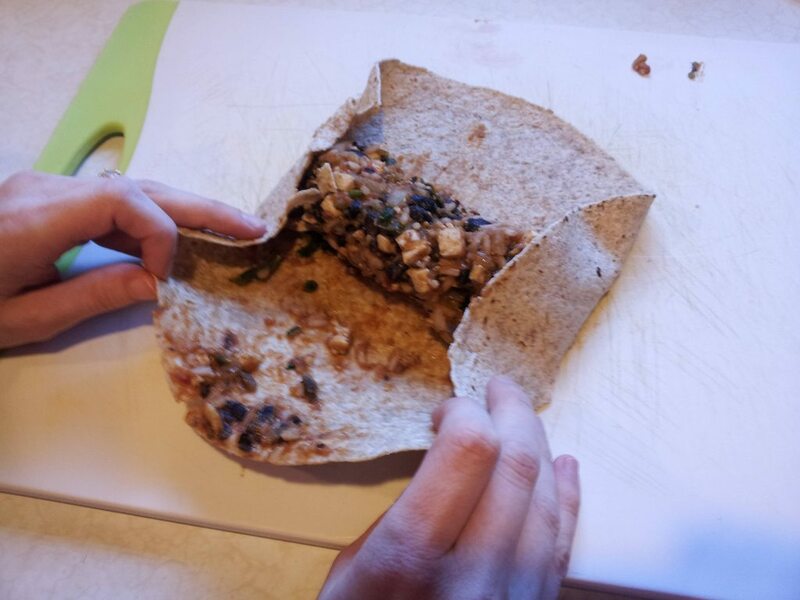 This makes it easier to roll, easier to mix the flavors evenly, easier to cook and easier to eat. 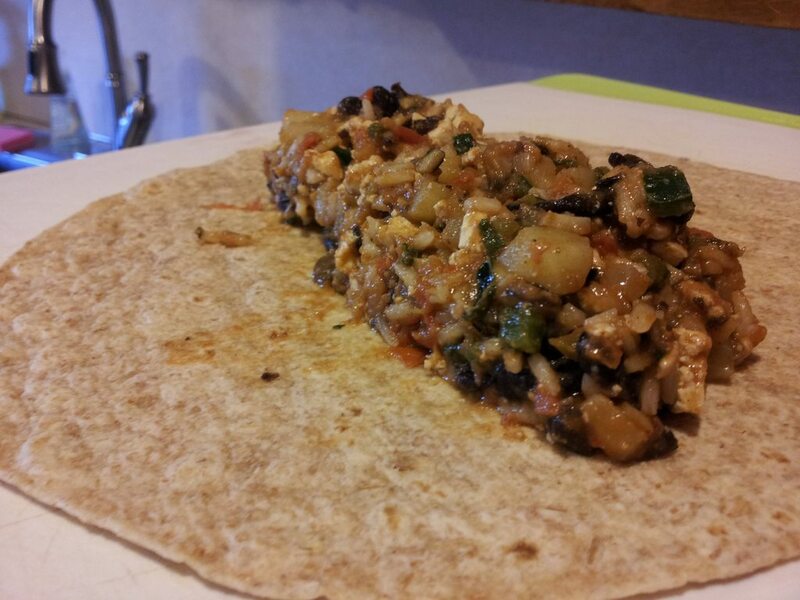 This recipe makes 6 large burritos. Cook your rice while you prepare your vegetables. Dice all of the vegetables and heat the oil over medium heat in a large pot. First, add your potatoes to the oil and let fry for about 5 minutes, stirring a few times to ensure even cooking. Next add your onion and pepper. Let cook for 2 to 3 minutes. 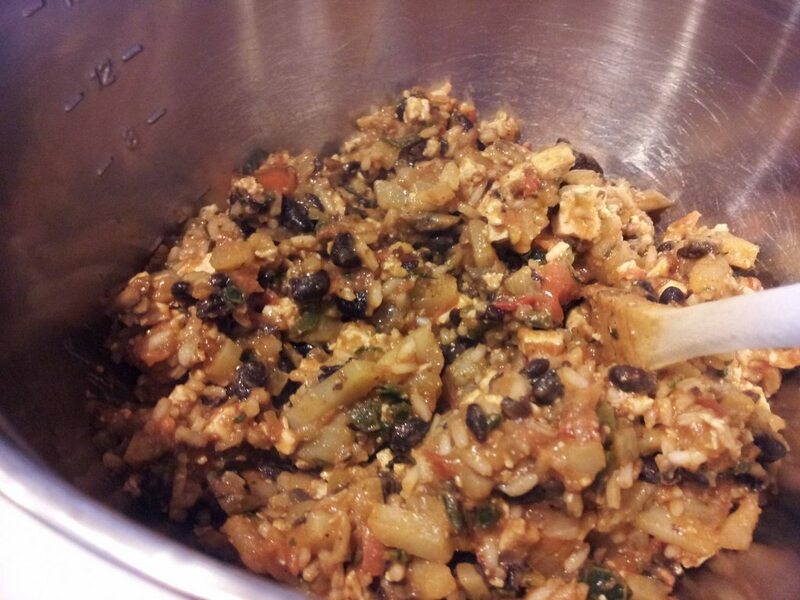 Add in mushrooms, tofu, black beans, tomato, cilantro and the spices you choose. Let cook for about 5- 10 minutes. 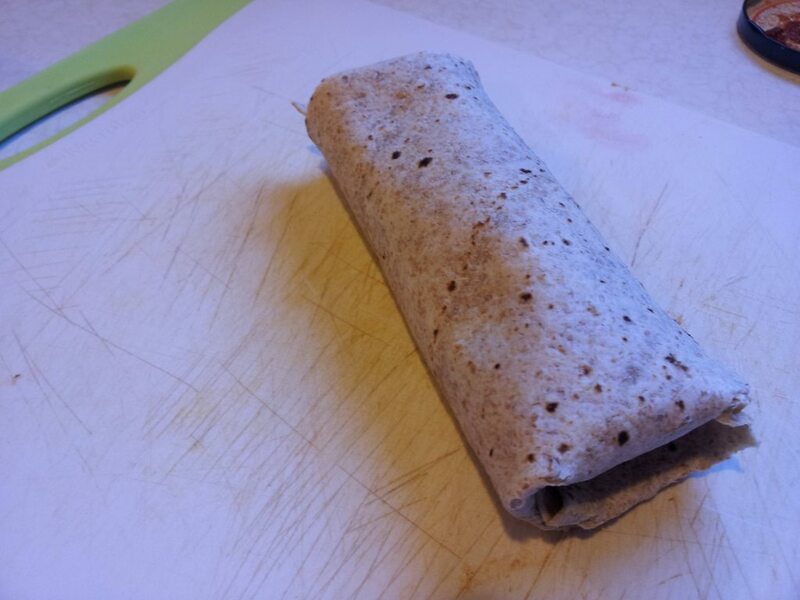 Now it’s time to make the burritos. 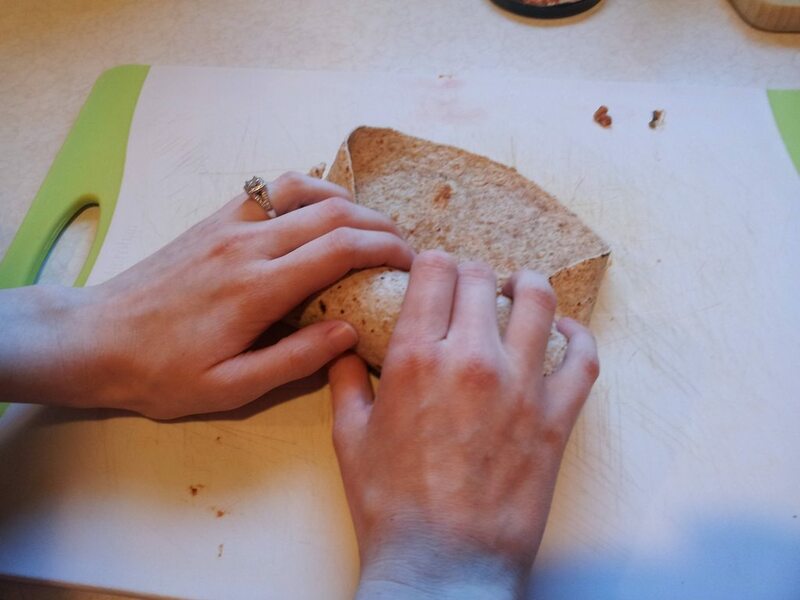 I actually managed to take a few photos of the way I successfully roll a burrito. They’re not beautiful but hopefully they can be helpful. 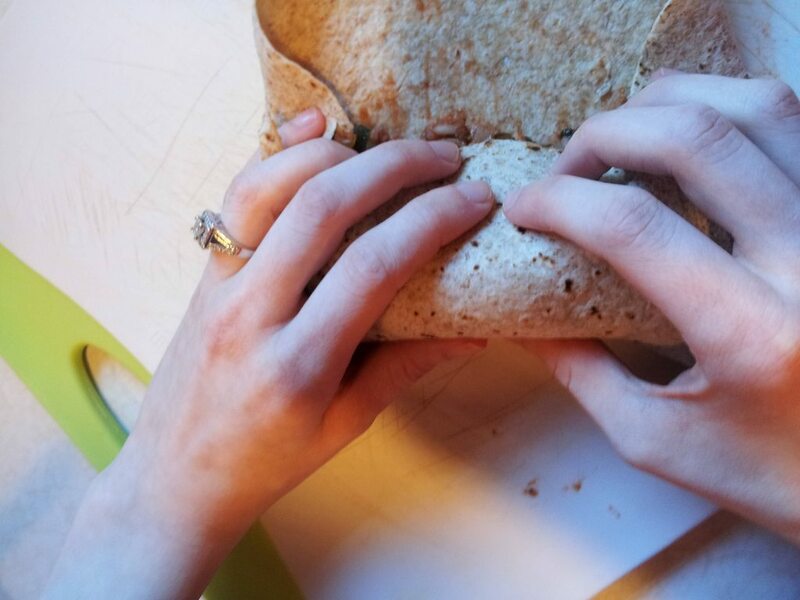 2) Fold flap over the filling, and at the same time, pull and scrape the filling towards you so that it feels tight and plump.